Because it remains unclear as to how time between radical prostatectomy and radiation therapy impacts postoperative functional outcomes in patients with prostate cancer, researchers sought to evaluate if a shorter time interval between surgery and radiation would be associated with worse erectile function and urinary function rates in surgically managed patients. For the study, investigators retrospectively analyzed data from 2190 patients who underwent radical prostatectomy. 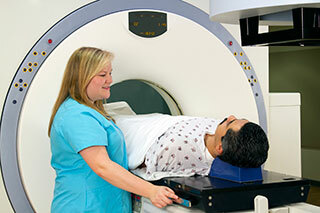 Patients were classified as having undergone adjuvant, salvage, or no radiotherapy. At a median follow-up of 48 months, results showed that the erectile function recovery rates were 35.0%, 29.0%, and 11.6% in patients who received no radiotherapy, salvage radiotherapy, and adjuvant radiotherapy (P <.001); the 3-year urinary function recovery rates were 70.7%, 59.0%, and 42.2%, respectively (P <.001). 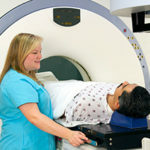 Researchers also found that time to radiation therapy was significantly associated with functional outcomes. The 3-year erectile function recovery rate was 11.7% among patients treated with radiation therapy within 1 year vs 34.7% for those treated with RT 1 year or longer after prostatectomy (P <.001). Similarly, 43.5% of patients treated within 1 year of surgery achieved urinary function recovery within 3 years compared with 62.7% of those who waited 1 year or longer to undergo radiotherapy (P <.001). The findings ultimately suggest that delayed radiotherapy should be preferred in this treatment setting to improve functional outcomes following surgery. 1. Zaffuto E, Gandaglia G, Fossati N, et al. Early post-operative radiotherapy is associated with worse functional outcomes in prostate cancer patients. J Urol. In press.